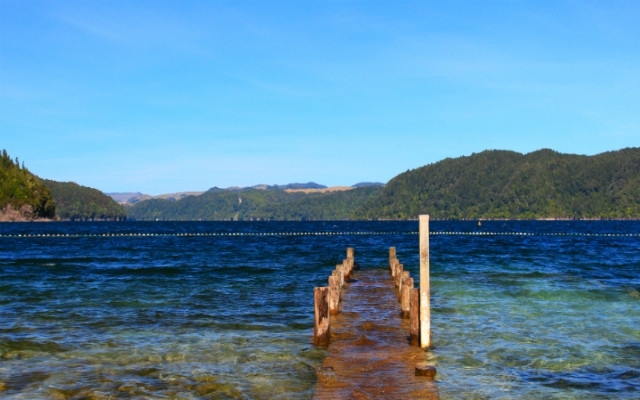 Lake Okataina sits between Lakes Rotorua and Tarawera. It's reached by taking Lake Okatina Road off State Highway 30 and following the road until you reach the lake front. The lake has a beach area, grassy area, seating areas and is completely self contained with no inlets or outlets. There are 12 walking tracks through the forest leading up to and from the lake front. An information panel highlights the locations of the different tracks.